On Your Ordination - Single Card is published by Teal Press and is our 704th best seller. 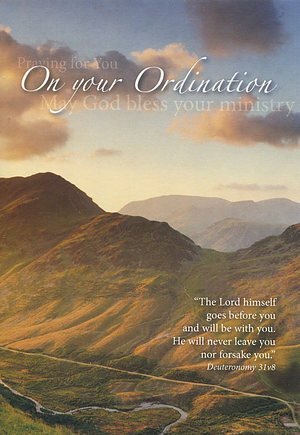 The ISBN for On Your Ordination - Single Card is ED50119A. Be the first to review On Your Ordination - Single Card! Got a question? No problem! Just click here to ask us about On Your Ordination - Single Card. I want to send a card to my friend who is being ordained on Sunday but I want to say the card is from me - how do I do that on your cards? A:Sadly, we do not currently pre-name Cards. Thank you for using the Q&A Forum.